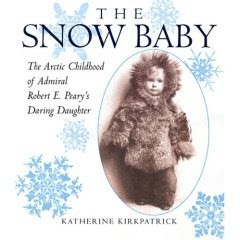 This action-packed, real-life story of Marie Peary, the daughter of Arctic explorer Robert E. Peary, is a wonderful introduction for tweens to the family life of a great explorer. Most often, the families of famous explorers were left at home in relative safety while the explorers (usually men) were gone for months and years at a time traveling to unknown and often dangerous parts of the world. However, the Peary family was quite different. The real star of this unusual story is Peary's wife and Marie's mother, Josephine. Breaking with the convention of the day, Josephine traveled with her husband on several of his attempts to find and claim the North Pole. In fact, Marie was born in a remote northern corner of Greenland during one of these expeditions. Marie's earliest memories and friendships were with some of the Inuit people who populated the far north. Her family depended on these kind people for help as guides and in constructing clothing to protect them against the fierce cold. Marie spent months and years living aboard ship going to and from Greenland. In fact, she and her mother, along with the ship's crew, were locked into the ice for 10 months in 1901 while trying to reach her father's new base camp. Marie and her family developed close relationships with some of the Inuit and considered them friends. For a good part of her early life, Marie lived and played among Inuit children and had many adventures with them. Sledding down an ice mass and finding fun on nearby icebergs with her Inuit friends was a frequent pleasure. The Inuits gave Marie the name "The Snow Baby" when she was born with blond hair and blue eyes. The book makes clear that there was much mutual respect and affection between the various explorer parties and the Inuits, and that there personal association extended over a period of years during Peary's many expeditions to the Arctic. In fact, it took until Marie was 16 before her father successfully journeyed to the North Pole and claimed it for the United States. The book's author, Katherine Kirkpatrick, has made good use of her source material. This remarkable story is significantly enhanced with a generous collection of photographs. Even though some are extremely grainy, most are clear images of their lives in northern Greenland. The bulk of the book concerns itself with Marie's early years as part of the expeditions. Even though she and her mother spent years moving back and forth between this adventure life and a conventional life in the states, Marie was separated from her father for long stretches of time while he remained in the Arctic to winter and prepare for the next foray to the North Pole. He and his expedition did not successfully reach and claim the North Pole until 2009. Those years in between were consumed with supplying and resupplying the expedition between forays. For anyone interested in a non-conventional life, or intrigued by the spirit of adventure necessary to pushing out to the ends of the world, this is a delightful story. For one thing, it centers on a girl's experience and that is unusual in itself. Secondly, Marie had extraordinary, enlightened parents who saw nothing wrong with exposing their daughter to such an exceptional life. 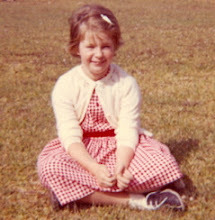 Marie grew up to spend many years of her adult life helping her father organize his notes and papers for the early National Geographic Society. And in 1932, traveling to Greenland with her own two sons, Marie placed a monument honoring her father at the place where she was born - "the first piece of land sighted when a ship approaches Greenland from America."